Heat oven to 425°F. Remove crusts from pouches; unroll on work surface. With 3 1/2- or 4-inch round cutter, cut 6 rounds from each crust; discard scraps. Fit rounds into 24 ungreased muffin cups, pressing in gently. Spoon about 2 tablespoons pie filling into each crust-lined cup. 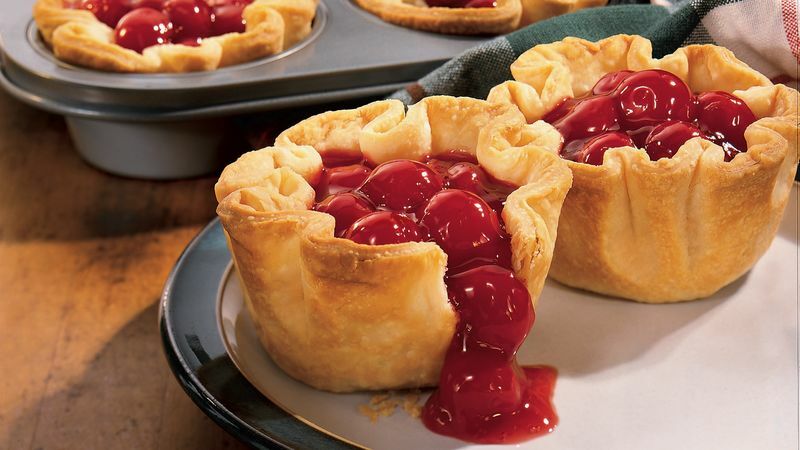 These easy mini pies can be made ahead for your party.